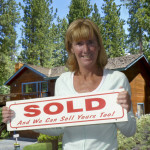 Buying or selling Lake Tahoe, NV real estate this year? The best way to begin your journey is by aligning yourself with a Lake Tahoe, NV Realtor who can share the current market conditions with you. Details like sold prices, days on market and month supply can help both buyers and sellers come up with a competitive plan of action. Sellers can use market reports to price their home accordingly and buyers can understand what their buying power is. Take a look at the below to see the market report for Lake Tahoe, NV real estate. It is important to note that this is for the area in general, but if you want details on a specific neighborhood, be sure to contact your Lake Tahoe, NV Realtor. The average sold price for homes for sale in Lake Tahoe, NV is up significantly from last months $915,103 to $1,398,000 this year. The median sold price for homes for sale in Lake Tahoe, NV is the same as last month at $900,000. The average days on the Lake Tahoe, NV real estate market is 223, which is up from last month. This number helps buyers and sellers get an idea of how fast homes are moving. As far as inventory goes, at the time this blog was published, there were 70 Lake Tahoe, NV homes for sale with an average list price of $4,722,161. There were 10 pending sales with an average list price of $1,835,050. There are 38 condos for sale with an average list price of $496,660. There are currently 8 condos pending with an average list price of $501,987. If you need more information on real estate on this side of the lake, feel free to reach out! We would be happy to help. "“Don And Theresa were absolutely great. I used them to both sell and buy property. Would use them again in a heartbeat. Theresa made sure everthing was in order and if she was not sure, she went to the trouble to make sure. I bought a bank-owned house and we were able to close in two weeks with no hassles. Don was hands on with the property I bought as I’m a single lady and wanted a man”s opinon on some matters. Both were very receptive to my... continued"